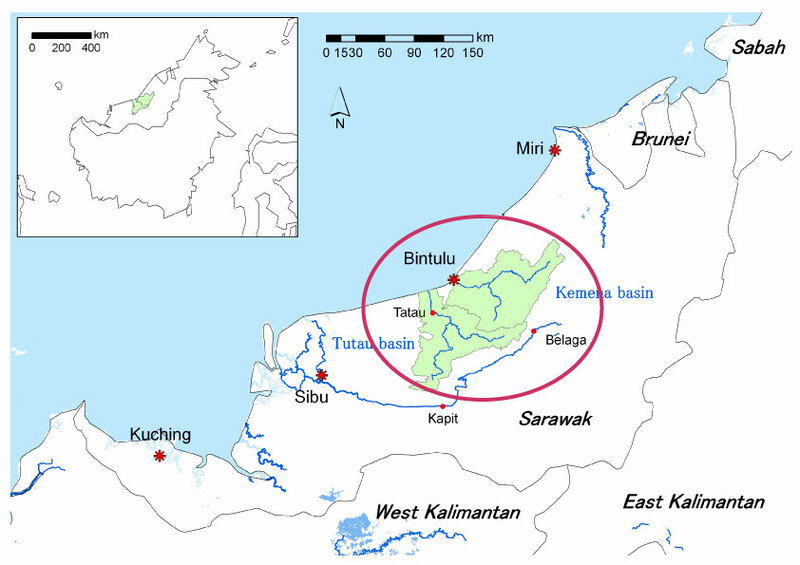 For our project we selected areas along the Kemena and Tatau rivers in the Bintulu district of Sarawak, Malaysia. 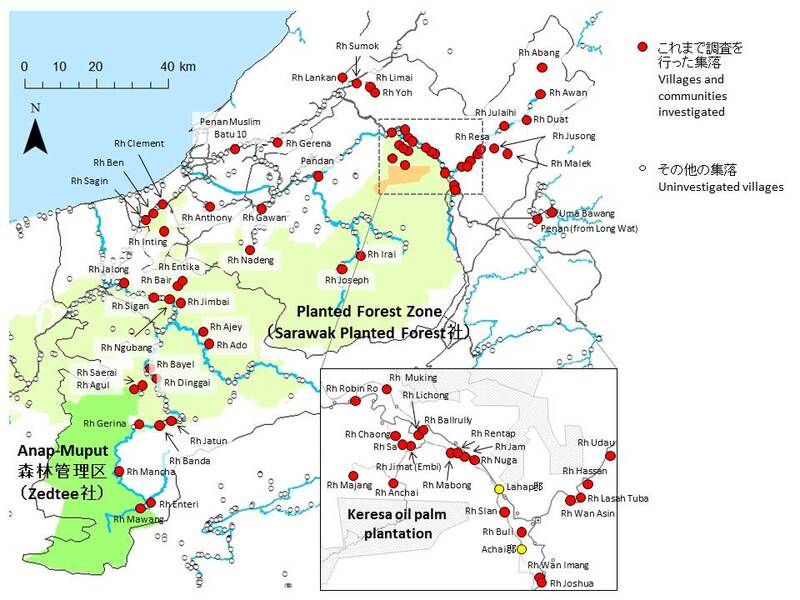 In these areas, we can observe natural forests, logged forests, secondary forests, shifting cultivation fields, and pepper fields all of which are common in many regions of Sarawak. But our research regions have, in addition to that, large-scale oil palm plantations and planted forests of acacia. Today, oil palm is largely cultivated among the small farmers in this area. This region provides a wide variety of vegetation on a watershed scale and it is truly remarkable from the aspect of landscape ecology. This region’s heterogeneous landscape offers various options for land use and business. These river areas, especially along the Kemena River, have a specific nature which we have termed a composite ethnoscape. There are so many ethnic groups in this area and these groups live together, work together and interethnic marriage is not uncommon among them these days. There is some support for the opinion that in Sarawak, the social network along with riverine systems should be emphasized more than ethnic group composition. However, few studies have been conducted from this viewpoint in this area. Our research region certainly has a network that is built on the boundaries of ethnicity and we believe it fair to say that this is the right place to pose a new theory of basin society. We have been conducting interdisciplinary research field works and are now tackling analysis of the collected data. Our goal is to set a new theory for a civilizational ecology by unraveling the process of outflow of the forest products, commodities, labor force, capitals and information all of which is coming from this area and weaved into the global network of material flow. In the map, our research sites are indicated. This entry was posted in Research Region and tagged Bintulu, Borneo, Center for Southeast Asia Studies, Jelalong, research sites, Sarawak @en, Sarawak Planted Forest. Bookmark the permalink.